I have a ton of products to swatch, and I've had nothing but gray skies and rain for the last two weeks; any day now, my neighbors will be an audience to my interpretive, anti-rain dance. 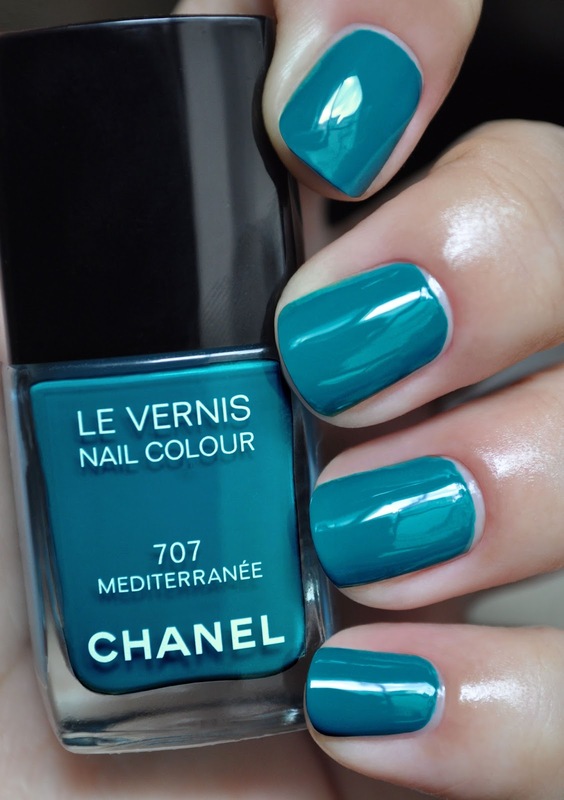 Mediterranee 707 is a mesmerizing, muted, medium teal-blue with a beautiful glossy, creme (slightly jelly) finish. The formula for Mediterranee is spectacular; it applies smoothly, flawlessly, and, most astounding of all...it's opaque in one coat! Although this vernis can stand alone with one coat, out of habit (and, joy in applying), I applied two. Another great feature of Mediterranee 707, is its six to seven day wear time. 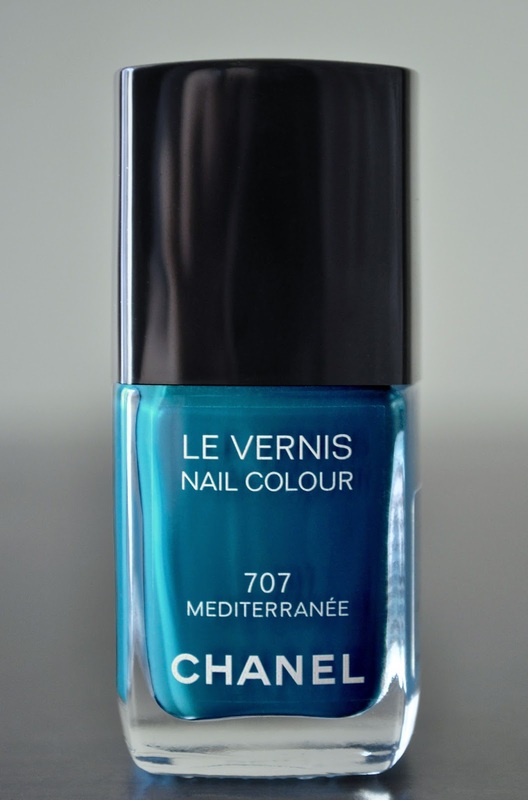 I'm not sure what magical unicorn juice Chanel is putting in their most recent polishes, but the brand is winning my heart back.